Do not forget to send center pieces for your Sader table and flowers to celebrate with your loved ones. Leave a Yelp or Google review for a discount on your next order! Students! 10% off Your Order for a Limited Time! Leave us a Google review and get a discount on your next order! Flowers are something truly special, as they can express emotions like friendship, commitment, love, and sympathy. Unfortunately, many stores that still sell flowers nowadays only have a limited selection of unoriginal, boring flowers for people to choose from. That is why I am proud to offer my services as an expert florist to anyone in the West Los Angeles, CA area. I am passionate about what I do and love being able to provide my customers with unique, one-of-a-kind floral arrangements that cannot be found anywhere else in town. Papillon Flowers is your number one flower shop stop in the West LA and Beverly hills area. I have everything from standard roses to beautiful orchids. 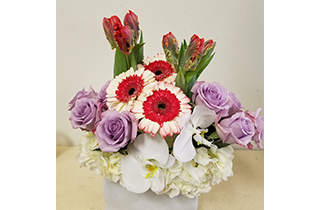 Best of all, I can handle custom designs, which means you can feel free to come into my shop and speak with me personally about what type of bouquet or floral design you want. 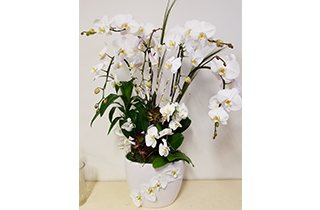 Flowers are meant to capture the uniqueness of the human spirit, and at Papillon Flowers, I will be more than happy to put together the perfect floral arrangement for you. Whether you want to surprise your loved one with a lovely bouquet or would like a wedding wreath created for a friend’s special day, I can create whatever you want. 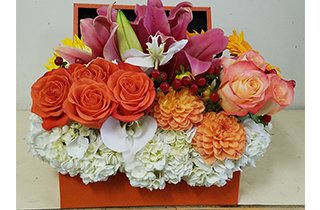 I have years of experience working as a florist and have worked hard to establish myself as one of the most dependable and professional floral designers in the West Los Angeles, CA area. I have a wide variety of flowers to choose from, as I believe that every individual is different and deserves to be able to choose the flowers that are right for them. If you are ever in need of my services, please see me at Papillon Flowers and I will create a breathtaking arrangement of flowers for you!